A celebratory piece about the diversity of the Southern US seas. Our oceans are sacred, special places that need our protection. The amazing watery wonderland off the coast of Georgia teems with wildlife. 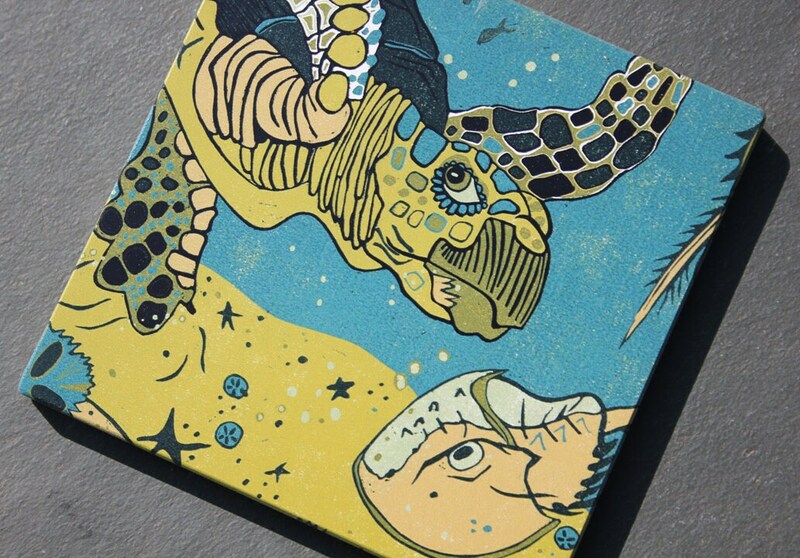 This is a piece of a large woodcut I made featuring a green sea turtle. 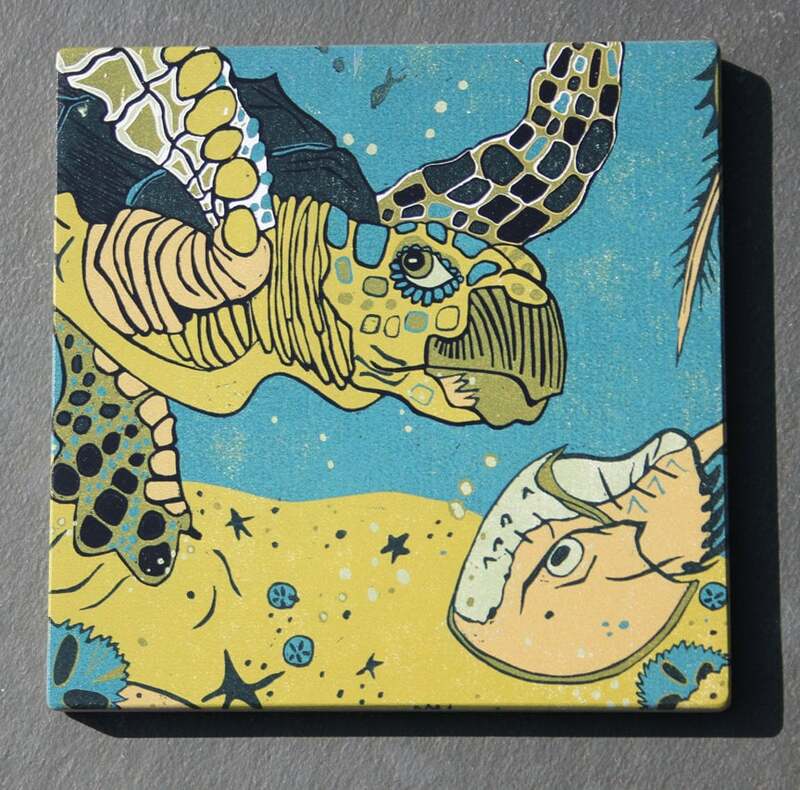 I love this art print - the turtle and colors are amazing!